The Nose of El Cap. The Regular Northwest Face of Half Dome. Moonlight Buttress. Great Trango Tower. The Fisher Towers. Vertigo on Cannon Cliff. The Prow and The Mordor Wall on Cathedral Ledge. 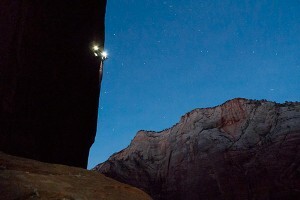 These great routes and daunting walls all require a mastery of the dark art of aid climbing. This two-day course is designed for climbers with previous rock climbing experience who want to explore the world of aid climbing. 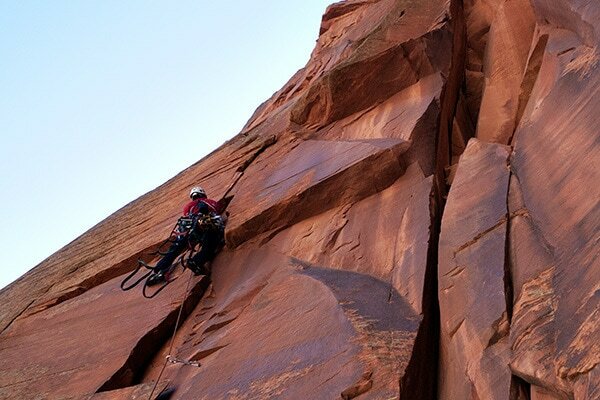 Imagine finishing a 5.11 pitch in a rain storm or getting over a big roof! Movement in etriers, nutcraft, basic ascending, and cleaning a pitch is the focus of the course. Clean, nondestructive techniques are stressed. Both days will feature technical clinics and a climb. Using aid techniques in Zion and on Cathedral Ledge. 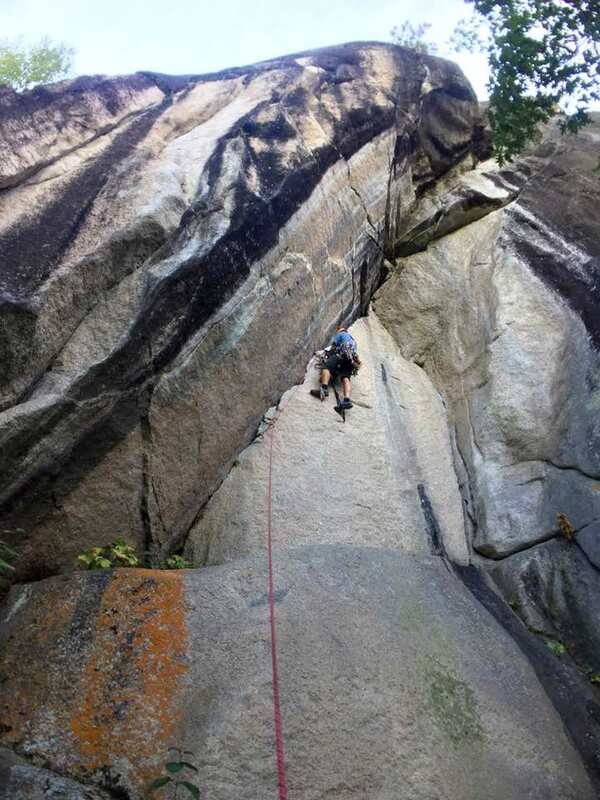 This two-day course is designed for people who have completed the introductory course or have previous clean aid climbing experience and want to further their exploration into the black art of aid climbing. Clean, nondestructive techniques are always stressed but pitoncraft will be featured in this course. Learn to stack nuts and pitons, place bashies, the art of hooking, and how to effectively deal with expanding flakes. Ascending is as important as leading and we cover the necessary skills to clean a difficult aid pitch. Let IMCS prepare you for a wall overnight!